In early 2008 Nav Haq the then curator at Arnolfini in Bristol approached me to see if I would be interested in creating a new work for a show about design. I could do anything he said. Any institution like Arnolfini clearly makes use of familiar and well tested design systems in order to facilitate day to day functionality and productive output. So reliant upon design systems and our expectation of them to work we have arguably lost our autonomy. Ivan Illich in his book The right to useful unemployment talks of all the hundreds of different ways of making light that have been lost since the advent of the electric light switch and with it our independence as we became ever more reliant upon the electricity that powers them. 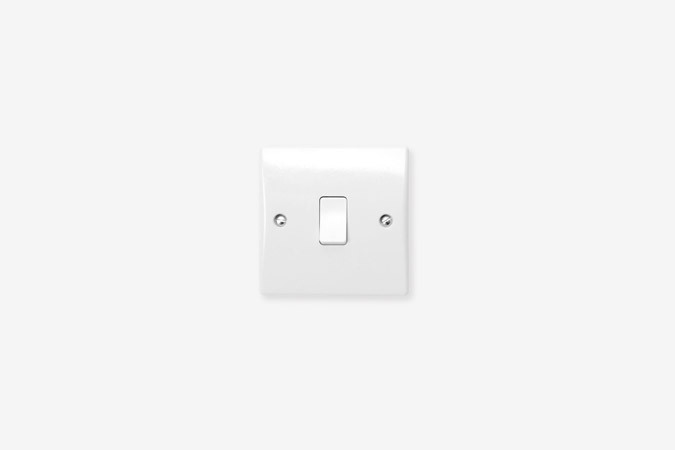 My proposal was simple: to see how far they would let go of their reliance upon these cause/effect design systems by means of its complete interruption, to switch everything wherever possible - plug sockets would turn on lights, light switches would turn on computers, the front door buzzer would boil a kettle and so on. They allowed me to swap two light switches. One upstairs. One downstairs.